You can set Sticky Top or Transparent Sticky Top to get transparent (with or without Sticky) Navbar. 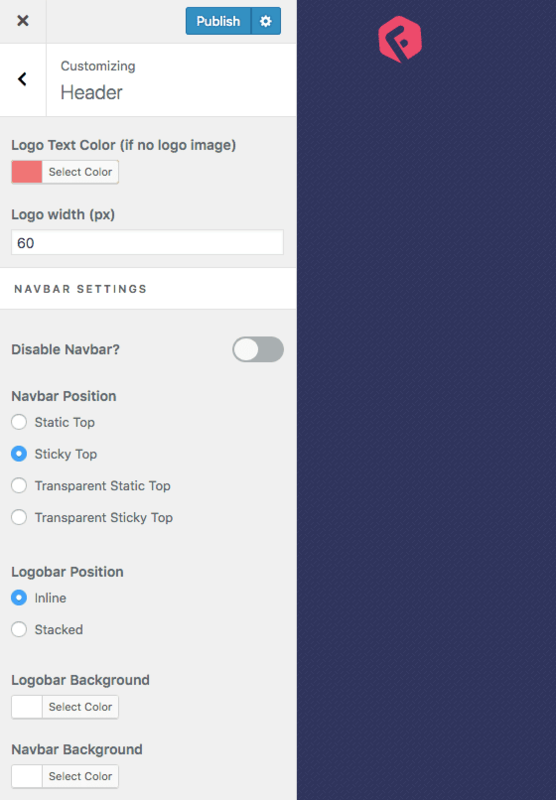 Sticky Top will always have background color (that you set as “Navbar Background” from Customizer). But for Transparent Sticky Top, it will be transparent initially and then with the background color when it’s sticky on scroll.